The EUR/USD currency pair, as expected, started to grow. 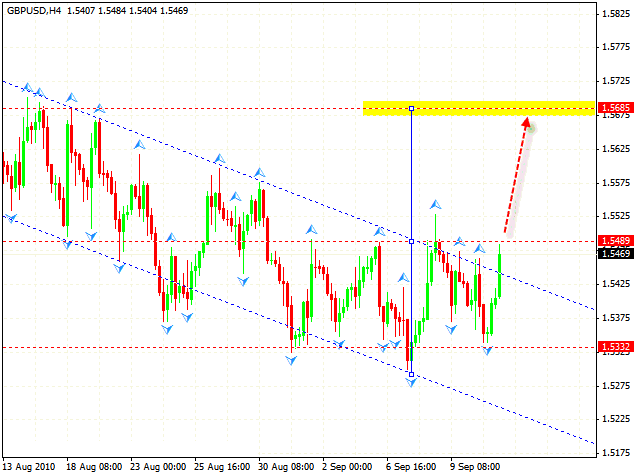 The closest target of this rising movement is the area of 1.2955. 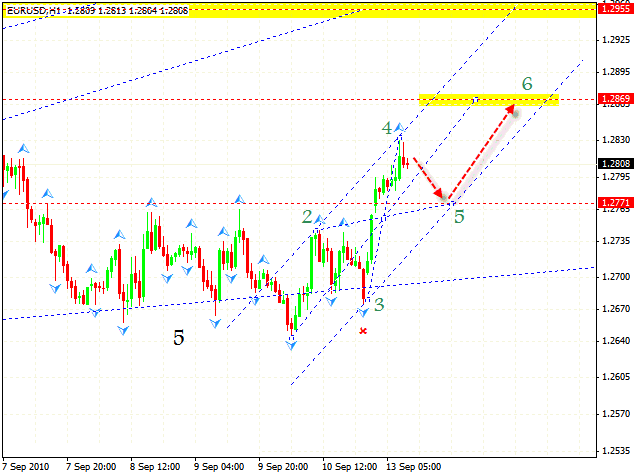 Currently we can see the formation of the pattern with the target of 1.2869. One should expect correction into the area of 1.2771 where we can try to buy the pair. Pound is also moving according to forex online trading forecast. When the level of 1.5489 is broken, one can try to buy. In this case the level of 1.5489 is a neckline of “head & shoulders” reversal pattern with the target in the area of 1.5685. 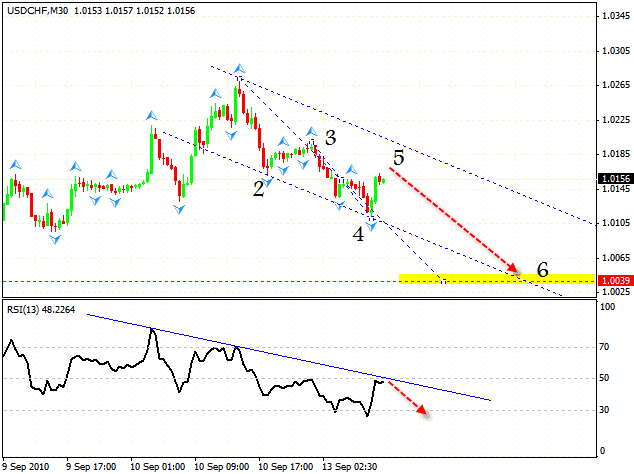 Stop must be hidden below 1.5335. The RSI indicator hit the line of the descending trend and went back; at the moment we can see the formation of the descending pattern with the target in the area of 1.0039. One can try to sell the pair with the stop above 1.0185. Don’t forget to move stop into the black as soon as possible. Australian Dollar has formed “head & shoulders” reversal pattern, however the price has not reached the target of the rising pattern yet. 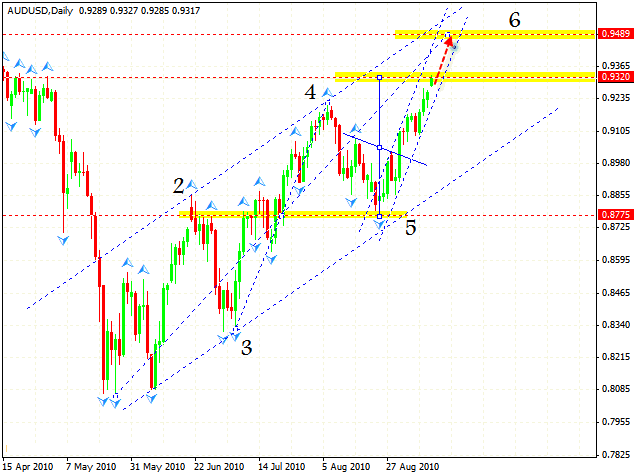 While the price is in the rising channel, we should expect further growth of the pair. One can try to buy the pair with the tight stop. The price is testing the border of the formed “triangle”. 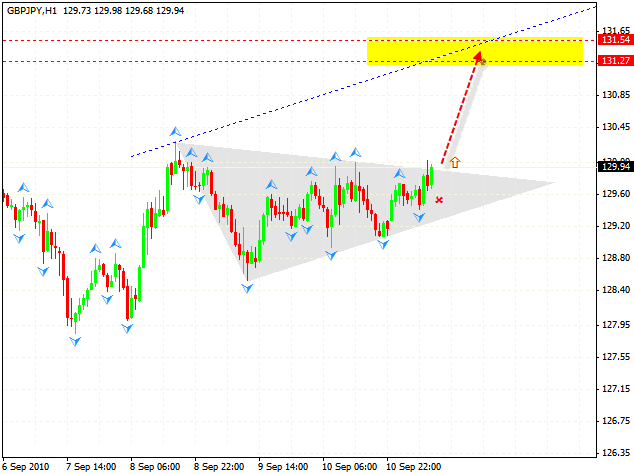 If the price is fixed outside the border, we can expect the pair to grow into the area of 131.27-131.54. Stop must be hidden below 129.65.